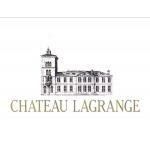 Château Lagrange, Classified Growth since 1855. 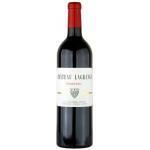 The property is located in the west of the Saint-Julien appellation right in the heart of the Médoc vineyards. 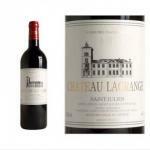 We hope this site will help you become better acquainted with our Château and the three wines we produce. During the blend tastings of our two Appellation Saint-Julien red wines, we select the Grand Vin " Château Lagrange ", usually produced from the older vines (around 35 years old), and the second wine " LES FIEFS DE LAGRANGE" , produced from the younger vines. One of the estate's curiosities is our Appellation Bordeaux dry white wine " LES ARUMS DE LAGRANGE" . The number of bottles produced is very limited, representing about 20 000 bottles each year.